Inspiring better business around the world! 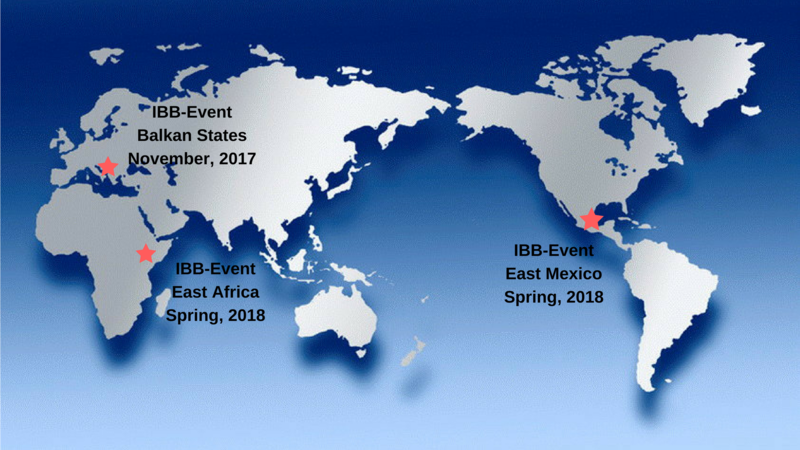 We are pleased to announce the scheduling of IBB Events in the Balkan States, East Africa, and East Mexico. IBB Events highlight experienced business people sharing strategies that help businesses start, grow, excel, and leave legacies. A typical event lasts two hours with several speakers presenting materials in short, 8-minute long teachings. All teachings will be will be posted to IBBTalks.com to be viewed and shared with others. You are invited to participate in an IBB Event as an attendee, a speaker, or both! Select a link below to learn more about these exciting events.